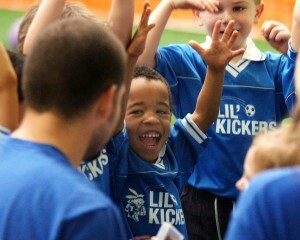 Our fun and exciting Lil’ Kickers camp is tons of fun and helps children learn soccer skills, as well as play other sports, educational skills, and have a blast doing it! 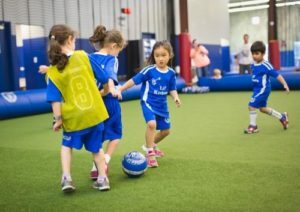 Our awesome camp will help your child develop their physical, cognitive, social, and emotional aspects of their being. 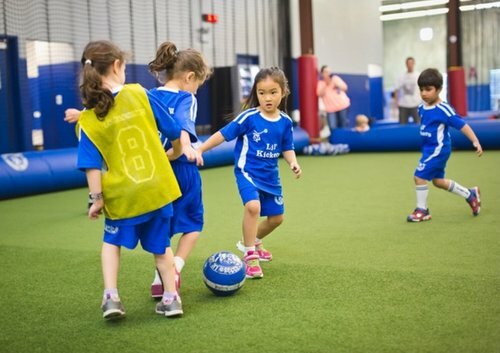 Each day, children will play soccer games from our Lil’ Kickers classes, have creative classroom activities and games, and time on our inflatable bouncer! Sign up per week or for the entire summer! Family discounts available. Art: Campers will get to create works of art on the Schucker Bus with Michelle Korte. Michelle introduces new art projects each week using recycled materials from urban and natural environments. Music: Children will explore the wonderful world of music through song and instrument. Reading: Camp Counselors will spend time reading to the campers and helping the children practice at the level that they are reading. Science Experiments: Each week campers will get to delve into a science project. Dinosaurs, environmental sustainability, astronomy, and the color spectrum are just some of the topics we will be exploring. Yoga: Campers will learn how to connect with their body and breath through a yoga session. 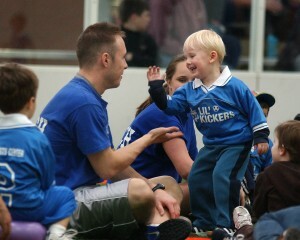 Entertainment: Campers will enjoy special demonstrations from very talented Lil’ Kickers coaches and outside sources. Ages- 3 – 9 years-old, boys and girls. All children must be potty trained. Age groups will be separated depending on numbers each week. All of your child’s favorite Lil’ Kickers games and more!! !